I love unique and playful bedtime books! 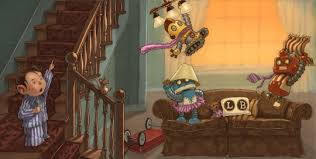 It's closing in on bedtime when the young man in our story (obviously tired and wanting cooperation) does what he can to encourage his three robots to hit the hay. He gives them clear instructions for cleaning up after a long day, and badly wants them to 'power down'. After just having spent four weeks with my 16 month old granddaughter, I know exactly what he means! She seemed to 'rev up' after her bath. He is quickly asleep ... only to have that sleep disturbed not once, not twice, not three times, but four. It is the fourth attempt to settle them that will warm the hearts of parents and librarians everywhere. 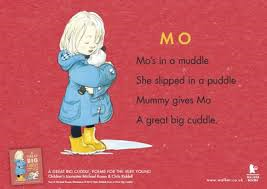 The rhyming text and wordplay are terrific, inviting participation when sharing the story. John Rocco's pencil, watercolor and digital painted images are simply wonderful. His characters (all four of them) wear their emotions and energy (or lack thereof) openly. 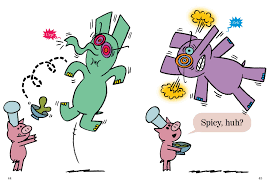 They are sure to entice young readers and listeners with bright primary colors, entertaining action, and many humorous details. There are certainly similarities between these rowdy robots and my energetic grandchild! The surprise ending will be no surprise for her parents. and find something else to read." I've never heard of such a thing! A book has been cancelled? It is what happens here, and the crayons are downhearted. Each is entirely prepared for the story they want to tell. Their costumes are set and they can't wait to get going. Now, it has ended before it could begin ... and there is only one reason why! It's due to a big red scribble that suddenly appears, tearing across two pages in a big loopy line! When they try cleaning it up, it just makes it worse. It gets even bigger! The storytelling crayons are disgusted with the state of affairs. Four crayons try their hand at ridding the book of the dreadful mark. Nothing works! Frankencrayon has been sent ahead to page 22. In the midst of the chaos created by the scribble, he is not told what is happening. The crayons who are costumed to be Frankencrayon run straight into the scribble. It takes a lot of ingenuity and some quick action to take control of their problem. Only then do we learn who is willing to take responsibility for such reprehensible behavior! This is a terrific book to add to my full Michael Hall collection. He has such a joyful way of presenting his stories, always with a bit of a surprise for his readers. I love the costumed crayons, their spoken asides, and the opportunity for a most successful and amusing story time. There are so many voices to share: plaintive, annoyed, even angry. Get some practice in before you sit to read it aloud. The collage art is bright and attention-grabbing. Even the pencil that narrates the tale is a singular voice in the midst of the drama and the fun. This is one of those books that would make for a smashing classroom performance, or a full of fun readers' theatre. Enjoy! I saw a reindeer on the loose. I saw a chocolate mousse. I saw a big green frog. I saw a hot dog." I have collected books of poetry for many years, and am always on the lookout for a new one to add to the libraries of new babies. This one is a keeper and a perfect baby gift if you are wanting to start, or add to, a library for the little one. Michael Rosen has filled its pages with thirty-five poems that are perfect fare for very young children. They will hear language that is rhythmic and filled with the many ways of the world that they are learning about at every turn. 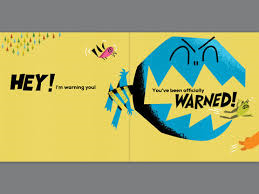 Repetitive sounds, silly rhymes, frenetic at times, and always just right for little ones who love a zany joke and nonsense words, it begs to be read aloud with expression, and repeatedly. Before you begin the sharing, be sure that you have done a little practice as there are a few that made my tongue turn in circles and even had me chuckling out loud at how difficult it was to speak each and every word. Some are loud, and others quiet. Some are funny, others sad. All will be enjoyed when shared. Chris Riddell uses watercolor and pencil to ensure a universal appeal. The colors are bright, the images as appealing as the poems they illustrate. Kids will fall in love with the characters and want to give them a 'great big cuddle'. Perfect for your own toddler, or for the next baby shower you attend. 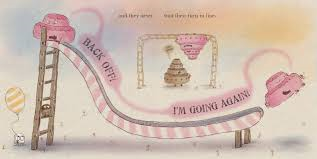 never wait their turn ... "
Rowboat Watkins gives kids a choice in this book about manners ... and it is a choice that they will love! 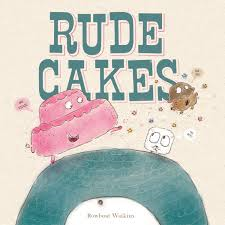 They can choose to be a Rude Cake or a Giant Cyclops. Which might you choose, if you have not yet read this story? Turns out that Rude Cake is just exactly that ... rude. As you can tell from the opening quote, most of what it does is quite obnoxious, including the way it treats its four-tiered parents. It is a bully toward others, too. and they love to share." And as sure as you can say 'please' and 'thank you', Rude Cake learns a lesson that will stand him in good stead with everyone he meets. The soft gray backgrounds and muted palette of colors used by Rowboat Watkins are the perfect backdrop for a story that sends a message that is gently shared with humor and familiar situations. There are many gags to hold interest and make this memorable for those who share it. While quirky to the max, it is a welcome addition to the books that you might have collected that feature manners as the main theme. Entertaining, and great fun for story time with little ones. Can you think of anything that happened today for you that left you feeling a little bit sad or mad? I dropped a picture frame and broke the glass ... looking at the photo inside made me remember the day we took it and why. I spilled a glass full of water on the kitchen floor ... my granddaughter thought it was a 'knee-sapper' when she watched my face as it happened. It's important for each of us to take those things we find frustrating and think of a positive outcome for it. 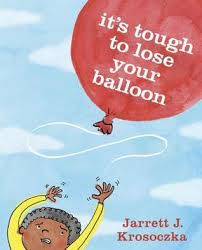 To that end, Jarrett J. Krosoczka captures moments and events that could lead little ones to tears of frustration. Rather than fall prey to such negative feelings, he offers an alternative. By looking from an optimistic perspective, we can make the best of what has happened. As adults we know that what seems catastrophic to a child is pretty trivial in the way of the world. That does not make it any less important or worthy of attention. These are quite common experiences and most children will relate to each one. A small trauma is accompanied by a facing illustration that brings emotion to the forefront. Turn the page and a cheerful double page spread is background music to the positive that comes from it. There is much to be seen in the artwork; the joy expressed with what happens next is quite lovely. Solutions to our difficulties are not always evident; there is one if we just take the time to look for it. Even if things seem bad, there's a chance to make it better. ... look for the rainbow." 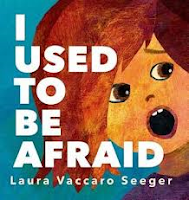 Lots of opportunity for talk, and to share memories of rough times, make this a book that should be on classroom and home library shelves. It's a perfect reminder to all of us to look on the bright side!!! listen to the sounds of the city. before. It was a small sound. It was a sad sound. It was a ... "
Moshe Cotel is a composer and a man who hears music wherever he is. It is his habit to take walks around New York, listening to its sounds in hopes of improving his compositions. One day's walk results in the rescue of a tiny kitten whose response to Moshe's music is noticeable and much appreciated by Moshe. His decision to enter a music contest seems a bad one when he cannot find inspiration to create a 'no longer than sixty second' composition. Impossible, Moshe thinks! 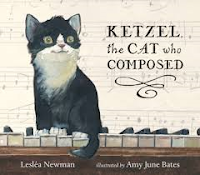 One day Ketzel walks across the piano keys and unknowingly creates a wonderful composition that Moshe will enter in the contest - and it is twenty-one seconds long. composition. She hopes you enjoy it." After posting it and forgetting all about it, Moshe is surprised to get a letter in the mail letting the two composers know that Ketzel's entry won a certificate of special mention. A young girl plays it at a celebratory concert, and Ketzel is present to hear her name called. A happy Meow! escapes Moshe's jacket where she is hiding. Instead of being thrown out, the judges allow Ketzel the composer to remain to hear her song played. It immediately wins praise and is often played in concerts on the world stage. For that, Ketzel receives a royalty cheque that she promptly takes to the bank to be cashed. Many tins of cat food are the happy result. An author's note provides needed information to explain that the book is based of the real tale of Moshe and Ketzel, a pair who loved each other and music. The endearing illustrations, done in watercolor, gouache and pencil, are a perfect match to Ms. Newman's honest and sincere presentation of this story. The colors add warmth and a delicate balance from the streets of New York to Moshe's cluttered, comfortable apartment, and further to the opulence of the concert hall. Ketzel is a black and white ball of fluff, full of personality and begging to be loved by all who read about her. "I went through the doors one day and was on a pirate ship, face-to-face with a terrible pirate named Captain Hook! For a long we just stared at each other. Then Hook cleared his throat and said, "Proud and insolent youth, prepare to meet thy doom!" He lunged at me with his sword. I jumped aside, and a terrible fight began." Willy is a library habitué. Each week finds him walking through two glass-fronted doors where he gives himself up to one adventure after another. In the first story he tells his audience that a shipwreck has led him to a life alone. What happens (on a Friday) on a desert island, with a dog, and a parrot leads to an amazing discovery ... when he thought he was the only one on the island! Could there be someone else there? He tells his audience ten tales, each connected to a book he has borrowed from his local library. If you are a reader, you will know exactly the adventure he is describing. If not, it might lead you to find out more. It will certainly entice readers to ask questions that need to be asked, and to make some discoveries for themselves. In Anthony Browne's deft hand, we encounter new worlds (always with a question to end the tale) to push us further in our thinking about stories. Each of the scenes that accompany the short tales are created to encourage curiosity and wonder. Willy's facial expressions are testament to his feelings as he entertains fascinated readers. The classic tales (and their singular moments) included are Robinson Crusoe, Treasure Island, Robin Hood, The Tinder Box, Peter Pan, Alice in Wonderland, The Wizard of Oz, Rapunzel, The Wind in the Willows, and Pinocchio. It is a unique and lovely way to interest those who may not know the stories to look for them when they next visit the library. If they want to know what happens, they will need to read them or have someone read with them. I think it's perfect fare for more experienced readers who will take up the challenge of finding out more, and perhaps reading them themselves. 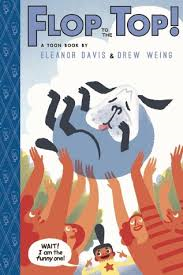 You might even find that they take a lesson from Mr. Browne and use it as a mentor text for their writing: taking a crucial scene and making it tempting enough to have others read a favorite book. Each story is faced by a brilliantly imagined piece of art that offers clues for the reader. Books and libraries are the impetus for this terrific new book. Once you have finished reading, be sure that you go back and see how books have pride of place in each of the images. It doesn't seem long since I told you about Jessixa Bagley's first amazing book, Boats for Papa. 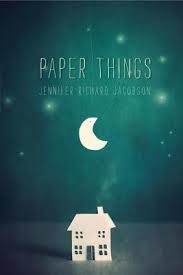 It won much deserved praise with its tender tale of a mother and her son missing their husband and father. 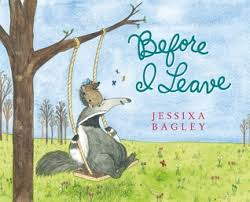 In this newest book, Ms. Bagley considers an age-old problem for young children - moving and leaving friends. Zelda is a tiny, loving hedgehog. Arthur is an anteater. No one is better friends than the two of them. Zelda cannot believe it when her parents announce that they are moving. Zelda's task is to pack up her room. Arthur is helping. Both are filled with sadness and lethargy. They cannot face the fact that they will soon spend their days apart. Zelda's plan to stay put is met with resolution and eye rolls on the part of her parents. Their house is sold; they are moving! Choosing to ignore the forthcoming change, Zelda and Arthur decide to spend their final day in a blanket of happiness and a belief that 'nothing is changing'. They do all the things that they love to do together - play ball, swing, boat, get ice cream. Zelda is scared. Arthur offers assurance as best friends are wont to do, giving her courage for the change. When she gets to her new home, and is unpacking her own suitcase, she finds it full of lovely reminders of Arthur and the times they have spent together. Notes from one to the other are included, and lovely crayon drawings. It is as if Arthur is right there with her! The tone of the story is hopeful and makes it clear that friendship lasts when both friends want it to be so. The two live in a warm, lively world as is shown in the softness of the watercolor artwork. We are always looking for books about family moves to add to our shelves. This one fits that bill perfectly! But I won't miss again." Kids love these books that make reading so much fun. 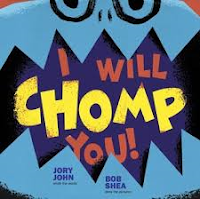 The blue monster in this new book by Jory John poses a lot of threats! He hates it when kids turn the book's pages. He has rabbits and frogs and birds quaking in their proverbial boots with is massive eyes, his chomping mouth and his snarling demeanor. Every one of the animals evident on the page is quaking with fear. Then, CHOMP! The fact that he missed his prey only fuels his anger and pushes the threats to a higher level. But I won't miss again. By the time you reach the middle of the book, you learn that there is a reason for his not wanting you turning any pages. After a few misses, he is ready to admit there is method to his madness. Turns out he has all his cakes at the end, and they are magnificent! The persistent readers who have come this far are told that it doesn't often happen. The monster doesn't want to share them! After an offer to share half is not taken seriously, the monster comes up with his own solution. The artwork is as silly as the premise for this entertaining readaloud. The colors are bright, the pages action-filled, emotions evident, and the bold voice of the monster will have young readers wanting to act out his anger. It is a perfect accompaniment to one of the books my kids loved when they were young ... There's a Monster at the End of This Book! It is still in print all these years later. "Way back then, animals could remove their fur or feathers like we remove clothing. When they took off their animal skins, the would appear human underneath. In an old story, a man found a snow goose swimming in a small lake. Without her feathers, she was a beautiful woman ... "
When his children are tucked in and ready for bed, they are not sleepy; so, Kudlu responds to their request for a story. The stories they want to hear are the ones of long ago even before Kudlu was a boy! "I want to hear about when the mountains were giants and there was lots of magic in the world." Inside their iglu it is warm and cozy - just right for listening to stories their father heard from his mother. All of the stories come from 'way back then' and they fill their small warm space with delight for the young listeners. Each of the tales shared is short, and results in something significant in life. A fox that wants to find food under cover of darkness becomes night; a raven who needs light to find food and the shiny things that attract its attention becomes day. Before there were the Inuit, there were exceptionally strong and skilled Tuniit. One hunter could a walrus on his back without help. Once there were giants in the world, and they did not get along. Did their fighting make the earth shake? I wonder. Each short tale is perfect for bedtime reading. They are first written in Inuktitut script and then in English. Each one begins with Way back then and continues to help explain various phenomena of the natural world. They are full of wonder and a good dose of fantasy, and are sure to please all who have a chance to share them. 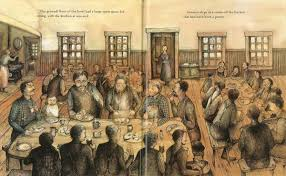 It is a rich oral tradition, and each is accompanied by a beautifully detailed illustration. They glow with light assuring a lasting impression of the stories told. 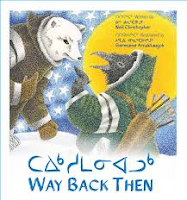 Included are a foreword, an Inuktitut pronunciation guide, and the dual language telling. It is definitely worthy of your attention and will be a welcome addition to your growing list of diverse literature. This is just a reminder to be on the lookout for the amazing books that Inhabit Media is publishing. They are necessary and most appreciated by many. soon as you undo the lid ... "
Will I ever stop singing praises for the amazing books that DK Publishing creates? I doubt it. Every time I think I will just skim a book's pages, I end up spending a few hours learning much more than I could have imagined at the start of my day. 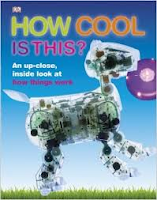 In this book, children will learn about inventions and such awesome things as bubbles, a glowstick, bubble gum, neon lights, robot dog, night vision, wind turbine and levers, to name but a few of the subjects covered in its pages. We all want kids to understand more about science topics and interest is always higher when that information is presented in a graphic and accessible way. Have you ever wondered about the colors in bubbles? almost entirely black, it is very thin and ready to pop." The text is written to be read by young readers in grades 3 and up, and is engaging for all who will read it. If you have, or your children have, ever wondered about a wide array of science topics in the world that is their playground, this book will help to understand how inventions have changed our world and how some incredible natural wonders happen. The science isn't really secret, it just may be unknown to many of us. As we have come to expect, the photographs are clear, colorful, telling. There is so much to see and to ponder as readers gather information and get an up close and personal look at the answers to questions they may or may not have asked. Fascinating and fun, this is a book that will appeal to those who love science and to those who love to learn new things! how big it will go before it goes pop is fun. thought about what it is you are chewing? bubble? It's all down to chemistry." Read, learn, have fun ... what more can we ask of a book? Should it smell like that? 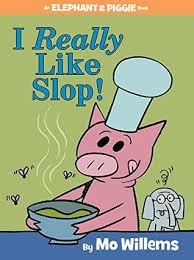 Slop would not be my first choice for the premise of a new drama: but then, I am not Mo Willems and I do not have such an irreverent sense of humor, or his innate ability to find the best things for the best of friends to share. Gerald is not nearly as keen for 'slop' as Piggie is! His initial reaction is to the smell, the attendant flies and the fact that Piggie eats it is ... are you kidding? Piggie loves everything about it. The flies are a necessity to help determine whether it is ripe or not. Offering a taste from her bowl and having Gerald adamantly refuse it, leaves Piggie overwhelmed with sadness. Being the terrific friend that he is, Gerald calls her back and agrees to give it a try. Will he try a big taste? No, perhaps a small one. As the slop gets closer and closer to her friend's mouth, Piggie is ever supportive. She even wonders if he might like to know 'how I get that "old shoe" taste'. While Gerald cannot agree that he likes it, he does admit he is happy to have tried it. And, there is a good reason for that! The illustrations are, as usual, perfect in every way. I continue to be absolutely astonished that Mr. Willems gets so much emotion and humor onto the page. The facial expressions are ever-changing and sure to please. 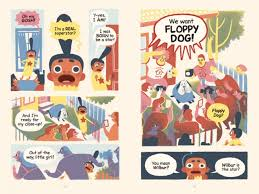 The reaction to the tiny taste of slop takes six pages of bold colors, and eye-bursting hilarity sure to have fans of the two spectacular friends pleased to be in their company once more. I'm already anticipating adding the next one to the shelf that already holds 24 mini dramas. must have passed me by. There was a time when they did everything together. The younger sister, who is our narrator, has just started noticing big changes in her older sister. She sees that though she looks the same there are many other changes. She is taller and can reach higher than she ever did. She closes her bedroom door when she doesn't want visitors. She is no longer interested in 'pretty things'. As the little one looks at photo albums and contemplates the many changes, she wants to question others. Asking her sister's friends (mainly boys) for advice is implausible. They look similar and can't hear anything because each one is listening to music on headsets. (Even her sister is sharing ear buds with her crush - you can tell because they both have reddened cheeks). Mom and Dad have no answers either. The longer it takes to consider the changes, the more upsetting it is. She misses her big sister! 'When did YOU become so tall?'" 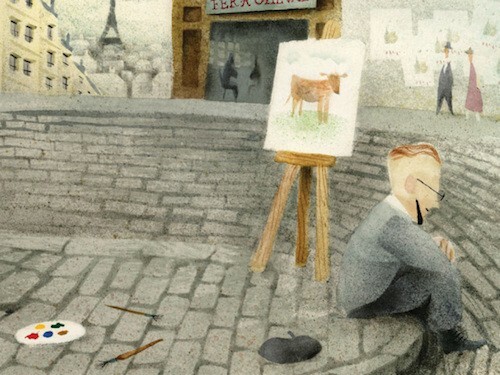 The illustrations, done with soft crayon touches and watercolors, are wonderful. They add context in the many details that fill the spreads. The color palette changes to reflect mood, and the gamut of emotions felt as one considers the observations being made.The family photos that she is perusing are filled with happy times, and lovely memories. 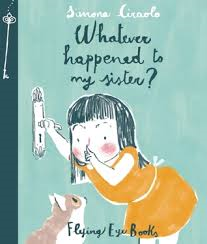 It is a warm and humorous tale told from a different perspective to what is usual fare for stories about siblings. This time the little one is beleaguered by the changes in the older one - sure to spark discussion when considering the adolescent in a household, or a whole classroom full of them. Tender and sensitive to those wishing that things didn't have to change quite so much with growing up. 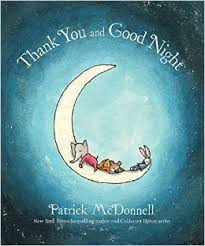 For those of you who love children's literature, you are going to be very impressed and heartened to recognize the three characters in Patrick McDonnell's newest offering. 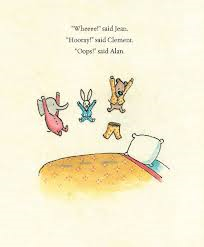 Clement is a rabbit, Jean is an elephant and Alan Alexander is a bear. So lovely! Maggie is their host for the evening. Two make their entrance dressed in perfect pajamas and ready for a nighttime full of fun. Clement and Maggie happily welcome them. The earliest part of their night is spent doing those things that make a party: games, dancing, a nighttime lullaby from a nearby bird, even jumping on the bed. Clement's human girl Maggie is there to serve them a special treat, one that is just right for each. Then, it's time to settle in for the sleeping part of the sleepover. A story to settle them, and a thoughtful question from Maggie brings the peace needed to allow for much needed rest. 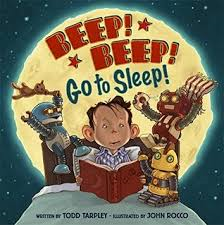 Stories that bring sweet dreams." The illustrations, done in pen and ink and watercolor, provide the gentlest of settings for Clement's visitors. The spreads attract constant attention. They are sure to have little ones talking as they listen to a bedtime story that will make them feel all the comfort and joy to be found in a long night's sleep. They will delight in the expression-filled faces as the animals move from one activity to the next, all the while showing that the importance of being together is the best thing of all! 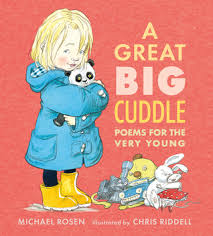 Small enough for little hands to hold on their own, dreamy in its presentation, and offering a quiet, lovely tone for the end of the day, this book is sure to become a bedtime favorite. "But the top floor was Antonio's favorite - one great room lined with rows of bunk beds. It was here where the men who worked in the forest - trappers, lumberjacks, and silver miners - lived for months at a time. Here it smelled wonderful - of sweet tobacco and wood, wool and leather, and sweat." In an author's note following this thrilling family story, Rebecca Bond lets her audience know that it is about her grandfather - only one of the many stories she knows about him. It happened in the summer of 1914, while he was living in a hotel run by his mother. That three-story hotel welcomed travelers and sportsmen to the area, and it even offered accommodation for longer periods of time for those working in the surrounding forest. Antonio loved the hustle and bustle that their many visitors provided. He also loved to wander the nearby forest, listening to its sounds, following its many tracks, and wanting the forest animals to always be safe and sheltered from those men who worked and hunted nearby. third floor spotted smoke in the hills and sounded the alarm. Antonio knew they were in real danger." There was nowhere for anyone to go but the lake! Every person in town stood in the water and watched the fire approach. It was a tremendous surprise when the animals started coming out of the forest and into the lake as well. Survival was the goal. Together, humans and animals, waited until they knew it was safe again. Life returned to normal, as impossible as that seems. Tones of sepia, gray and green infuse the watercolor and pen and ink illustrations, allowing readers a clear look at scenes from the early twentieth century in Ontario, and of one very memorable event. Details in the writing are accompanied by many fine details in each and every image. The busy scenes within the hotel are counterbalanced by the quiet of the forest and the eerie calm of the lake as humans and animals share the only safe place. These images guarantee that we will not soon forget this beautifully told tale. he is rubbing my palm with his thumb ..."
I read this brilliant novel months ago, and it has taken some time for me to be able to tell you about it. I will never forget Violet and Finch. Violet is not the same person she was before the accident that killed her older sister. No one would expect her to be; but withdrawing from her friends and school itself leaves her vulnerable, and aching. Finch, on the other hand, is considered a loose cannon on the school campus. He is different ... unconventional and brash. His classmates call him Theodore Freak. The two meet in the bell tower at their high school. It is difficult to know who saved who on that bell tower ledge. What we do know is that they have a very special connection right from that moment and the experiences they share are sure to make readers cry, then laugh, then cry again. Finch wants only for Violet to feel something, to come back to being in and of the world. Together, they set out, as part of a school project, to visit unusual Indiana landmarks. As they get to know each other better, he remains persistent in making her life better. In alternating narratives, they share their story. Their voices are remarkable and make our connection to them real and memorable. Finch's suicidal thoughts are evident throughout his narration. His obsession with death, and his knowledge about suicide seems endless. Violet is shy, and brave, and comforting, and loyal to Finch. While he assures Violet that he wants to help her, he is just as adamant that he is not an illness, and does not need to be fixed. Broken and hurting, the two find love and solace in each other. Mental illness, its many labels and misunderstandings need to be considered in books for and about teenagers. In knowing as much as we can about its effects, its causes, and its treatment it will only be better for each one of us. This is a book that deals with great compassion for those who suffer with bipolar disorder. 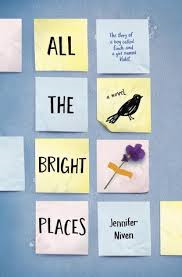 This is a book that will be compared to Eleanor and Park and to The Fault in Our Stars - deservedly so. But, it is a story that stands on its own for its unique and unforgettable teenagers and the love that they share. Emotional and heartbreaking, it is a book you don't want to miss reading. "A community garden grows produce to give to organizations that help feed people who don't have enough to eat. Men, women, and children volunteer time to plant, grow, and harvest fruits and vegetables. At harvesttime, families are invited to pick the produce." It's extremely important today that our kids learn the value of helping others. There are needs everywhere we look. As well as that, in a world where communication is too often made through text and social media and we are too involved in our own lives to notice what is happening for others, we need them to feel empathy and to act on those feelings. There are many ways that we can encourage children to get busy and helpful beyond their own families. They can certainly help others in their community, and in the greater world by learning about what is happening there. George Ancona, as he has done in previous books, encourages kids to get involved in many fun ways to make a real difference. He encourages them through his lively photographs to help friends, family, their school community and others within their neighborhood. He shows a significant number of children who have taken part in a host of wonderful ways to make their world better. "You can help your family, a neighbor, or even someone you don't know. If someone is hungry, you can get him some food. If someone is lonely, you can read him a story. You can help or volunteer alone, with a friend, or with your family." He sets about showing his audience just exactly how they can help. Whether it's knitting scarves and hats for the homeless, help with gardening so that others might reap the benefits of the beautiful bounty grown for their benefit, taking food to a food depot that ensures meals and sustenance for those who don't have enough to eat. 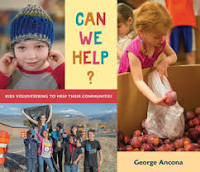 What children volunteer to do may take a few minutes, a few hours, or a continuing effort through weeks and months. In doing so, they begin to appreciate their own efforts and want to do more. The pages are filled with photos that show how each project comes together. Because the children are named, it feels as if we are meeting some very special and kind kids willing to put themselves out for others. In doing so, they grow a real sense of community spirit. You are sure to be encouraged to get your school students, or your own children, involved in finding a way to make a real and lasting difference where they live. off his boots. "Well, sure. But, you're not a horse." morning, the cows were ... "
chickens that pay for their keep." The dog wonders aloud if the farm might need another cow. The farmer answers in the affirmative, while reminding the dog that he is not a cow. The dog has a plan in mind> He will be back tomorrow. Before the farmer is up the next day, the dog has herded the cows into the barn ready for milking. 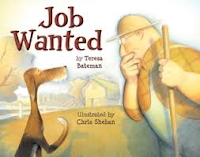 While he appreciates the effort,t the farmer still cannot see hiring a dog for any job on the farm. The dog has no problem offering himself as both a horse and a chicken. No dice! It's easy for the audience to see that things are improving; the farmer holds to his original opinion about a dog's worth to him. Finally, the dog cleans the chicken coop. The chickens are comfortable. They are happily laying eggs. The dog attends to his own comfort, building a nest for himself alongside the contented hens. A sly fox scopes out the henhouse for a quick raid while the farmer is hard at work. When the dog foils the fox's plan, the farmer admit there might be some merit in having the dog around the farm, ready and willing to do his level best to keep things running smoothly. The muted palette of grays and browns match the somber tone of this tale; the blues and golds are testament to the homey feel of the farm for a loveable and helpful mutt. Chris Sheban uses watercolor, graphite and colored pencil to help readers feel the mood that is prevalent as the dog does his level best to find employment, company, and a home. The rhythm of the well-chosen text, and the repetitive patterns will surely encourage readers to try their hand at independent reading. "The largest monkey on the planet is the male Mandrill. They can reach lengths of approximately 3 ft and weigh over 30 kg. If that isn't scary enough, these monkeys have fangs longer than those of lions. They are shy creatures though and spend their days on the ground hunting for fruit, seeds, nuts and the occasional small antelope to eat." This is an incredibly delivered piece about the monkeys of the world. 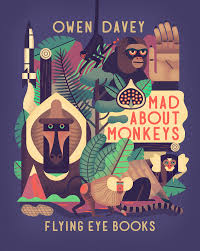 Owen Davey begins by sharing just exactly what monkeys are, thus setting the stage to take us on an adventure filled with learning. "So now you know the basics, let's swing right into an unforgettable adventure across continents, from the jungles of South America to the highlands of East Africa. Like us every monkey has its own character and story to tell. So get set to meet our quirky cousins, and go Mad about Monkeys!" He then shares the evolution of primates over many millions of years, showing both Old World and New World species. He explains how that division is made, and those characteristics that help us tell one from the other. He offers his audience a chance to show off what they have learned by inviting them to use their newly gained knowledge to determine where the monkeys presented fit. 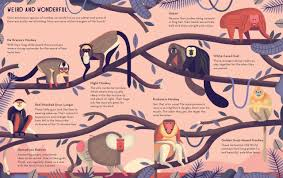 He talks about the ways they socialize, size differences, monkeys who are a part of mythology and the loss of their habitats through deforestation, explaining what is happening and how we can help to make the situation better for monkeys worldwide. It reads like the most informative and enjoyable conversation. It is a book that is beautifully designed, combining stylized, realistic artwork with a great deal of informative text. You will come away from the reading with a solid knowledge of monkeys shared in a very scientific but accessible way. The index is useful, and well organized. 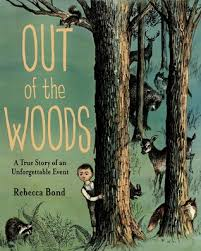 If you are looking to add more nonfiction to your family or classroom shelves, you cannot go wrong in adding this marvelous, perfectly illustrated book. It is a real delight! Wanda is on her way to being the star she believes herself to be. She lives her life as if stardom is hers ... taking endless selfies, watching reality television, posing for every imaginary fan she can conjure. In thinking only of herself, she forgets all that is truly important in her life, especially her family and her pet. The selfie she posts prior to going to bed one night leads to an unbelievable number of hits overnight. She is exhilarated by the attention. When her younger siblings point out her rise in fame as shown on television, and then on their front lawn, she is amazed! Facing her adoring public with aplomb and a hearty wave, she is startled to discover that it is her dog Wilbur who has garnered the attention of the social media obsessed public. Wilbur, with his floppy ears and his endlessly expressive face is new fodder for fan delight. Wanda is unimpressed. It's a terrible way to treat a loyal companion, who has no inclination to be the star of any show. Poor Wilbur! Wait! Is that Wilbur burning up the dance floor? Is that Wilbur partying with Sassy Cat and hot-tubbing with Sassy Cat, and about to sign a contract that means leaving his old life and considering a new one? Just in the nick of time, both Wanda and Wilbur come to a shared understanding. This graphic addition to the exceptional list of books from TOON offers a great deal of fun for its readers, and a chance for independent reading. Perfect pacing assures interest and repeated readings. The adults who read it to children will be as entertained as their children are ... the best kind of praise, for sure! "Perfect! I'll get the lemons. Are you looking for a new series to get your young children interested in reading on their own? 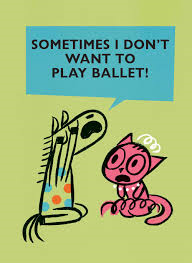 In this first book about Ballet Cat and her friend, Sparkles the Pony, we learn much about friendship. Sparkles is a terrific friend, always willing to let Ballet Cat make the daily decision for their play. Then he, as so often friends do, runs out of patience for always 'playing ballet'. I mean, every day? He has a secret he needs to share. Both are appealing characters and are sure to make young readers smile, and perhaps laugh out loud at some of the antics displayed. Ballet is frightfully enthused about life and the time she spends with Sparkles. Her heart wants to allow Sparkles to have a say in what they will do each day. Her head knows how much she loves ballet, and how it must be part of everything she does. Of course, that wreaks havoc with anything Sparkles suggests. Does doing crafts allow leaping with scissors? Not a good idea. Might ballet leaps knock the checkerboard flying? Pick something else, dear Sparkles. Ballet Cat's wears her tutu well, and her expressive face is filled with eternal exuberance. Sparkles loves his friend, but it is not hard to see that he is not so keen to always bow to her wishes. 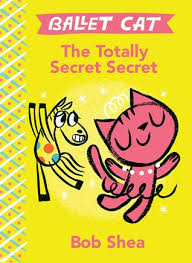 Kids are going to love this new dynamic duo for the humor, the secret that Sparkles has been keeping and the way in which Ballet Cat handles how he is feeling. It turns out that Ballet Cat loves only ONE thing more than she loves ballet. Speech bubbles, appealing artwork and lots of emotion are sure to gather kids in to hear what the two have to say ... and to learn how they solve the difficulty that faces them. Expressive and energetic, let's hope that this book is the beginning of a grand new partnership between two great friends. "So we chose. Yes to magnetically launched suborbitals and retroviruses that could rewrite a faulty gene. No to petroleum-driven personal transportation and chemical fertilizers. Yes to transcranial magnetic psychotherapy. No to robotic labor - except in an extreme case like the Precepture, where stakes are high and humans cannot be trusted. Yes to cargo zeppelins." 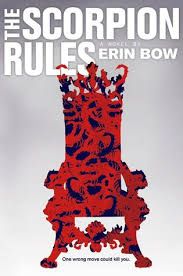 You will know young teens who are big fans of Erin Bow's writing. So, you also know who will want to read this book as soon as it is available for borrowing. They are sure to talk about it with friends and pass it on as soon as they have finished reading it themselves. "In the Dark Ages of Europe, kings had exchanged their own children as hostages to secure treaties. Each king knew that if they broke the peace, their own sons would be the first to die. The royal hostages of those days were raised in enemy courts. In the Age of Talis, we are raised in a handful of Preceptures, scattered around the globe. We are raised together equitably, and we are educated impeccably, and we are treated as well as can be managed. And if war comes, we are still the first to die. And therefore, war does not come." Greta is one of the Children of Peace. She is also Duchess of Halifax and Crown Princess of the Pan Polar Confederacy. One day while she and her classmates are studying the events of WWI, a classmate is claimed by a dreaded Swan Rider, and taken to his death as a result of war at home. His replacement is the headstrong, opinionated, and sarcastic Elian. He arrives aboard a ship, his hands lashed together at the wrists. Greta has always been obedient to the rules set for them. With Elian's arrival, she begins to have some questions of her own. Talis' unexpected arrival at their Precepture, in the guise of a young woman, brings further change to Greta's role in the group. Talis is full of dark humor, great power and an unflinching determination to ensure his dominance as the world's leader. That world is unique and chilling. This is a tale of love and war, of power and submission, of right and wrong, and of trying to be true to yourself while also looking for the greater good. It is often violent, yet also full of heart. There are real moments of humor and light, accompanied by much darkness and some difficult decisions. It affords its readers a chance to think thoughtfully about some tough questions, and consider our actions on Earth today, not in some distant future. There are characters here who have a tremendous impact. They beg us to ask some very important questions: Is violence the answer? How long can we sustain ourselves in a world that takes little notice of what chaos we are creating? Will tensions over water between their two countries result in war and ultimately then death for Greta and Elian? Can Greta continue to believe that she will go to her death quietly as she has always planned? It is a challenging read, full of suspense and thought-provoking. "Reggie gives a little salute, and I race back to the studio. I'm nearly there when I realize that I didn't even think to offer Reggie any of the change I'd collected today. Sure, I'd been searching extra hard to make up for the money I'd given him earlier this week, but the least I could have done was give him some of what I'd found today. After all, nobody was throwing bricks at my head ... "
Both parents are now dead, and Ari and her brother Gage have been living with Janna, a friend of her mother's, since their mother's death four years ago. Gage and Janna are like fire and water - they don't get along living in the same space. To get out from under her roof, Gage lies about having his own apartment and takes Ari to live with him there. The truth is that the two are moving from place to place, always in search of a something permanent. Ari is a brilliant student whose grades are slipping because of the disruptions in her days. She may not get the chance to attend a school for the gifted if things don't change. Gage is doing the best he can, but it isn't enough to keep them from being homeless. There are many clues to the desperation and hopelessness that the young girl is feeling; no one seems to pick up on them. She is divided in her loyalties - wanting to trust Gage with her welfare and safety. She is also missing Janna and the stability that she provides. The first person narrative brings immediacy and strong sympathy for Ari. She is conflicted and it is evident. Luckily, there are others in her life who offer kindness. Ari uses the imagined family she has cut from magazines to bring warmth and comfort as she tries to deal with loss. The game assures that she does not feel hopeless. She is doing her best to live up to her mother's dying wishes; a place in Carter middle school and making sure that she and Gage stick together. The stress is immense. Her life is not as it should be, and it is evident to her classmates when her hygiene is an issue. It is a story that is both sad and hopeful; unfortunately, it is far too common. There is great love, bravery and an acceptance that something must be done to change the trajectory of the life that Ari and Gage are living. If you teach middle graders, or have one in your house, this is a story that needs to be shared with them. "The therapy room door is wide open. There's been no sign of Gray or Predator. We're constantly listening for them. Even without asking Max if he is, I know the answer, because whenever we hear footsteps, he glances that way, tracking them even as we move. A moment ago I heard footsteps on distant stairs. Heading up to the second floor. How many sets of stairs are there?" It's hard to believe that Riley Vazquez is able to put one foot in front of the other. She has been through a lot for a seventeen-year-old. Her father, a policeman, has been killed while on duty. Then, while babysitting as a favor to a friend, the owners of the house are murdered. Riley keeps herself and the child she is caring for safe under a bed. She is deemed a hero. She doesn't feel much like one as she feels hiding was a coward's way out, rather than trying to help. Therapy is beginning to make a difference. One weekend Riley is convinced to attend a therapy camp with a group of other teenagers trying to deal with their own issues. Healing and wellness are the goals for all. Situated in an abandoned warehouse that is being renovated, the teens are made welcome, shown around the facility, and in a group session when three masked and violent men take them hostage and a ransom for their return is demanded. Things go very badly; Riley is convinced by Max to run for their lives. Thus begins a terrifying search for a way out, while evading capture. As they go we learn much about the two and discover that they are excellent partners in their bid for safety and freedom. Riley is incredibly strong, while dealing with her PTSD and the flashbacks she is having and the panic that she so often feels. With Max at her side, she remains remarkably calm and brave. Max hasn't openly admitted that he has been diagnosed with schizophrenia, a prognosis that has altered his life in every way. He is concerned about how he might react in the situation they are in, and without his medication those worries increase. He cannot admit, even to Riley, what is wrong. As the number of deaths escalate, the two continue their search for a way out. This first part of the story moves quickly and with increasing tension, as you would expect. Ms. Armstrong's fine writing keeps her readers focused. The second part of the book, following their escape and the discovery of what has happened in the warehouse, is even more fast paced with twists and turns that did not allow me to stop reading at any point. 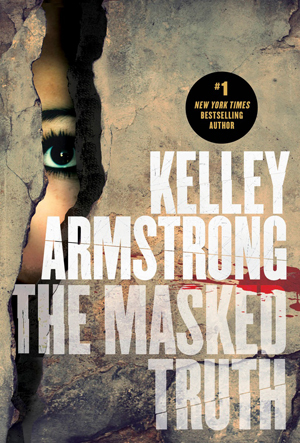 When the truth is revealed, readers realize that the truth has been 'masked' in many ways. Small moments of humor, the strength of the characters, the insight into mental health issues and the resulting understanding for some behaviors, the plotting, the relentless pacing, the twists and turns, the first person narration by Riley and the periodic third person perspective of Max, the violence (which is never gratuitous), and the compassion felt, result in a book that I would recommend to those who love a thrilling ride in the books they read. They will not be disappointed. "It was the summer of 1920.
they call it the City of Lights!" exclaimed Marvin, Grant's friend and fellow painter. There was a tower that looked like an iron bridge to the sky." Grant is like so many of us. Tired of the drudgery of life at home, a farm in the America Midwest in the 1920s, he leaves with a dream in his heart and a new life in mind. He is off to Paris where he will pursue his passion for art. After years spent drawing his farm life, he wants more. He shares those dreams in idyllic days with his cow, Tillie. Meanwhile, Tillie who has been his constant companion, is quite satisfied with the way she lives. She is content with her lot in life and has never dreamed of anything different. into Grant's open palm. What a cow!" His departure leaves Tillie listless and unproductive. Thankfully for her, Grant's sojourn in Paris is not nearly as successful as he had hoped. His return to Iowa is met with great glee and a return to good health and improved milk production. Their walks inspire Grant's most famous work - American Gothic. He finds life at home, with all that he loves, is exactly what he needs to be a successful artist. 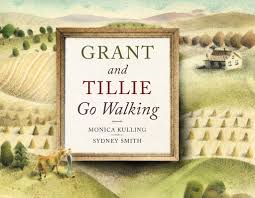 I like this imaginative story based on Grant Wood's life. The scenes in Iowa are intertwined with his time in Paris, adding interest and context to the life he eventually chooses to live. An author's note lets readers know that Tillie comes from the writer's imagination, chosen because Grant Wood said his best ideas came when he was milking a cow. I have great admiration for Sydney Smith's work. He uses watercolors, ink and a toothbrush to create both realistic settings, and solidly places the audience in the world of the 1920s in Europe and North America. The grainy feel, the muted prairie palette pays homage to the artist, and begs a return for a much closer look once the story has been shared. The art adds a level of emotional understanding that is poignant and memorable. I hope we see many more books graced by his beautiful artwork. "It was still unreal that Em had kissed anyone. It was as if she'd been to the moon. But here she was, still Em. Bridge bounced off the bed and sat in her desk chair, hunching forward to face Emily. "Em, I don't trust him. If he didn't send your picture to David, who did?" "I told you, someone grabbed his phone! I know it sounds stupid, but I believe him. I just do." There are three stories told here. Bridge is a seventh grader still coming to terms with a terrible car accident in fourth grade. She has healed without repercussions, but it is causing her to rethink her life when most middle schoolers are doing the same thing. 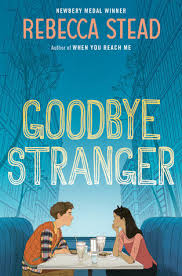 Sherm, her new friend, is having great difficulty with the anger he feels toward his grandfather and his decision to leave his grandmother changing their family dynamic. An older, nameless high school teen leaves school on Valentine's Day, causing great worry for her family. That being said, we meet three girls on the cusp of changing relationships. Bridge, Tab and Em have been best friends since Bridge returned to school following a long convalescence. As a set they have only one rule: no fighting. Up until now, they have been able to abide by that promise to each other. But, things are evolving. Em's body is transforming; she's attracting attention from a boy who wants her to send him a suggestive 'selfie'. She is spending more time with the girls on her soccer team who share her interests. Tab has decided that she needs to be more socially responsible, and also more feminist. She is influenced by an admired teacher, but takes her feminism a bit too far. Bridge is wearing cat ears to school every day, talking with Sherm and sharing his stories. Yes, it's pretty typical middle school stuff ... emotional, authentic, and very accurate. There are betrayals, and hurt feelings. Vengeance results, and even a fight or two. Communication is at the heart of the story: online picture sharing between Em and Patrick, and then passed along to others, Tab's conversations and interpretations of her teacher's perspective, a cautionary story shared by the teen warning that the future will also encompass change, his grandfather's texts which Sherm refuses to acknowledge. The characters are distinct, and their stories are well told. The teen's story is shared in second person, and in separate chapters. Rebecca Stead carefully connects and resolves each strand by its conclusion. Middle grade is an awkward time ... it has always been so. It is a change from what is our past, and will certainly be different than what the future holds. This beautiful novel honors those who are making that transition - she does it gracefully and with humor. You should read it! It is perfect for every middle grade reader and classroom. to the places you don’t." I have tremendous respect for Caroline Pignat's ability to tell powerful stories. Her historical novels have a place of importance on my 'keepers' shelf. Winning awards is not new to this fine writer. So, I was happy to read that she had won yet another ... the Governor General's literary award for this beautifully told story of hardship and hope. 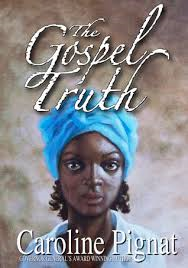 Choosing to tell it in verse, as well as in multiple voices, proves her mettle as a chronicler of history and the creator of brilliant characters. It was meant to be a part of the series that includes Greener Grass, Wild Geese, and Timber Wolf. Instead, she found herself reading about the Fugitive Slave Act of Canada in the 1850s ... and Phoebe's voice wanted a place to tell her story. The setting is a Virginia tobacco plantation, the year is 1858 and the strongest voice is Phoebe's. There are five other characters whose perspective is shared: Master, Tessa, Doctor Bergman, Bea and Shad. Phoebe has known no other life. She is a house slave, a servant to Master Duncan's daughter Tessa. Since the master sold her mother, Phoebe has been mute. She knows the sorrow of loss, the fear of being sold away herself, the agony of watching her fellow slaves be beaten, the hatred of both Tessa and her mother. with all the love I got left in me to give." When Doctor Bergman arrives from Canada to study and draw the birds of Virginia, he is happily welcomed by the Duncan family. Tessa wants him for a husband, the family enjoys his genteel demeanor and importance. Phoebe is made his guide. She is concerned about being alone with a white man. Dr. Bergman is intrigued by the young girl who says not a word, has thorough knowledge of all birds, and is able to read and write, a discovery he makes when he finds her notebook in a hollow tree. After building trust with his young guide, Dr. Bergman reveals the truth behind his visit and asks for her help. It is a terrifying prospect for the young slave. The tension builds, secrets come to light, and change comes with alarming speed. The choice to use a verse novel to tell her story is inspired. Such power and poignancy is captured in perfectly chosen words. Readers are made painfully aware of the reality that is plantation life for all. The different voices offer variety in perspective. Personal interpretation of what is truth and what it means to be free are carefully portrayed. Being able to listen in on each of the narratives makes the reading more personal and immediate. Phoebe has courage; in the end she also has hope. "Birdman look at me in surprise. "Yes," he say. "I saw her when I was home last. She works at the Willard Hotel in St. Catherines." And I know then where I'm going. I ain't lost no more." never stay empty ... "
It's one of those days when a self-constructed cave seems the best place for a quiet and prolonged read. So Thomas sets about creating the space he needs, with all the amenities that will make it perfect. Once completed to his satisfaction, he discovers it's too dark inside to read. Off he goes in search of a flashlight. While gone, something big finds lodging in Thomas' cave. It has shy brown eyes ... a bear! Thomas employs all of his knowledge about bears to try and lead the interloper away from his warm den. A blueberry trail works temporarily. The bear is wily. While Thomas goes off to get books, the bear returns. A back scratcher, a sink full of toys, honey oat cereal and a bee costume should do the trick for attracting the bear away from Thomas' cave. Finally, Thomas has his cave to himself. When the bear tries to get inside for a snuggle, there is no room. Only then do we realize who the bear is ... an inconsolable younger brother. Thomas shows his softer side when he pushes out the walls, causing a cave-in. What's the solution? Can they build a bigger cave together? Of course, they can! They like their big brothers." If your little ones aren't sure how to construct their own cave, they can ask my kids. They would fill the living room with blanket-covered play spaces day after day after day. Or, you can check out the final page of this charming book that shows them exactly how to do it. Ta-da! A repeat reading offers several clues to the identity of the bear and a lot of detail to be shared and discussed. 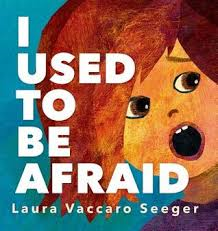 The soft colors, familiar setting and concealed identity keep little ones interested while not causing any distress ... straight through to the lovely ending. a man. Not to kill him, not literally. But the next best thing. building of brick and glass ... "
As he has done so brilliantly in previous books, Steve Sheinkin takes a complex political story and has it read like an adventure - just the kind of book he wanted to read when he was a kid. His research is exemplary and his interpretation of all that he has learned makes for the best kind of nonfiction. It is a book worth sharing, believe me! Every scene is fraught with intrigue, information and insight. I started reading it on the plane on my way to Victoria and finished it that evening, once I had spent time with family and returned to my suite. As soon as I got home, I passed it to my son who had enjoyed reading Bomb: The Race to Steal the World's Most Dangerous Weapon (2012). Our response was the same to both: admiration, awe and renewed awareness. Pretty amazing stuff! 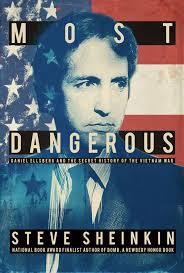 Daniel Ellsberg worked as a government analyst during the Vietnam War era, spent two years in Vietnam, and came back a changed man. He no longer believed that the Americans had a place there. He became an antiwar activist, after learning the truth about what was truly happening there and not being shared with the American people. Finally, in an act that many called treason (whistle-blowing), he released a copy of the Pentagon Papers, a secret government document detailing the truth about the war and the lies that had been perpetuated through the tenure of four presidents and over a period of twenty-three years. It was explosive, leading to the Watergate Scandal, the resignation of Richard Nixon, and the end of the war in Vietnam. Heady, indeed! Even yet, it begs questions of government that need to be asked. Can we trust our elected officials? How do we know what is really happening behind closed doors? How much should be kept secret? It is a timely topic. The strength of his writing comes from compiling the tremendous amount of research done (thirty-six pages of bibliography and source notes, and excellence in choosing the archival photos to include) into a highly emotional and eminently readable story that makes history come alive for his readers. It is divided into three sections, includes a list of almost 100 people who played a central role, is told chronologically to full effect, and ends with an epilogue suggesting that Ellsberg's 'treason' is in direct relation to security leaks made by Edward Snowden. Hopefully, it will elicit discussion in classrooms and at home. This has always been one of my favorite fairy tales. I think it is the idea that young children are so resourceful at overcoming the odds. Well, and the appeal of a house made of deliciousness! The plight of the family is encompassed in the darkness of the title page: spare surroundings, all the trees cut down leaving the woodcutter father without a means of support, no happiness evident anywhere. As the story opens we see a gaunt woman wearing clothes that overwhelm her slight frame, the children eating worriedly from their meager bowls of food, and a dispirited man slumped over his meal. The wife is livid and threatening. get rid of them." She was the children's stepmother. "Get rid of them?" the woodcutter shouted. "Never! I love my children." "Then make four coffins," the wife scolded bitterly. "One for each of us." What would we do? It is a brutal question to ask. The telling is in keeping with the original tale ... two trips into the forest to try to leave the children behind, one return trip following white pebbles sparkling in the moonlight, a second one impossible as the birds have consumed the breadcrumbs dropped, the trek through the forest (full of trees to cut if only people had money to buy the wood), finding the cottage that sparkled and shone, meeting the woman who lived there and turned out to be mostly hungry for children, the trickery and the triumphant return home to live happily ever after. 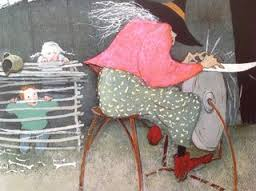 The text for the telling is spare, as Holly Hobbie wants her illustrations to be the focal point. "My paintings are created with transparent watercolor, pen and ink, and gouache on watercolor paper. 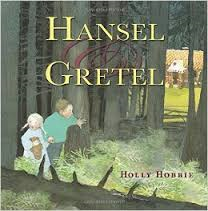 It was necessary to change my typically cheerful palette to convey the somber setting of Hansel and Gretel. I found myself using indigo for the first time in my life, rather than the brighter and friendlier ultramarine blue. Thank goodness the sun breaks out in the end." That art is as sinister and harrowing as the tale it tells. The magic of the candy house is overpowered by our first look at the witch - white-faced, spindly limbed and voluminously clothed. Her back turned to the smiling children allows a glimpse at her true nature. Beautifully rendered, yet creepy as well, it is good to know we are in for a happy ending.